Made from 100% natural cotton duck. Each blanket has a tail cover and adjustable belly strap with double dee fastener. 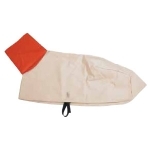 Vinyl neck piece, available in red or beige, designed to keep the animal’s neck clean and trim. Machine washable and cool dryer safe. 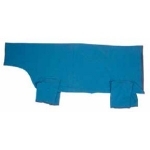 Cotton stretch material designed to keep pressure on muscles and skin to remove wrinkles and keep animal clean. Warm in winter, cool in summer. Colors are red, blue, green, purple or pink. 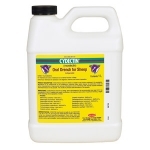 Provides clostridial protection against eight clostridial diseases. 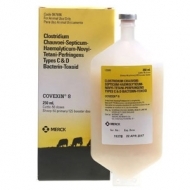 For vaccination of healthy cattle and sheep against diseases caused by Cl. chauvoei, Cl. septicum, Cl. novyi Type B, C. haemolyticum (known elsewhere as Cl. novyi Type D), Cl. tetani and Cl. perfringens Types C & D.
For the treatment and control of internal and external parasites of beef and non-lactating dairy cattle, sheep and pigs. 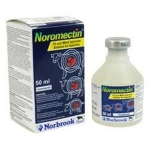 One low-volume dose of Noromectin Multi Injection controls internal and external parasites that impair the health and productivity. Dramatic response for weak newborns, appetite, diarrhea, multiple birth, antibiotic/vaccine response, travel and heat stress. Beneficial in any stress condition. Maximize performance and stamina in show. Delivers high energy, vitamins, minerals, amino acids, electrolytes and antioxidants in minutes. Give orally. 16 oz. 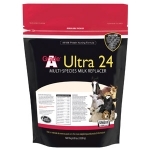 Grade A Ultra 24 is truly the "Gold Standard" for multi-purpose milk replacers. This product is made with 100% milk proteins for optimum digestibility and performance in calves, foals, baby pigs, puppies, lambs, goat kids, llama and alpaca crias, fawns and elk calves. It is also formulated for use as a nursing supplement in kittens. 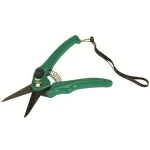 Invaluable compact shear, highly acclaimed by farmers and shepherds during field tests. High-carbon steel blades, heat treated to cleanly cut hard hooves. Coated blades minimize rust. Easy action, single handed locking device. Handy size and lightweight for daily carrying. 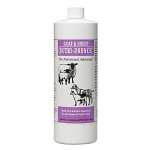 For use in healthy sheep & goats to control 13 types of adult and larval stages of internal parasites. Not approved for ewes providing milk for human consumption. Reproductive safety studies in ewes and rams have not been conducted. Administer orally 1 ml per 11 lbs. body weight. 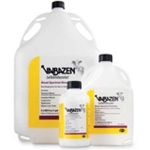 Valbazen® is a broad-spectrum anthelmintic effective in the removal and control of liver flukes, tapeworms, stomach worms (including 4th stage inhibited larvae of Ostertagia ostertagi), intestinal worms, and lungworms. Valbazen® is for the treatment of adult liver flukes in nonlactating Goats. 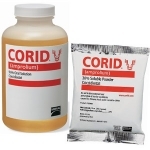 Corid® is easy to use as a drench or mixed in the drinking water, and its liquid formulation ensures the active ingredient will reach the intestine, even in animals with reduced feed intake and low GI motility. By stopping coccidia in the small intestine, Corid® prevents more damaging coccidiosis in the large intestine. 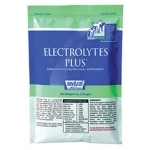 Electrolytes Plus is our best-selling, most versatile hydration supplement. Dextrose and glycine help to optimize electrolyte absorption and provide readily available energy. Sodium bicarbonate helps to correct metabolic acidosis often associated with dehydration. Kaolin absorbs toxins and helps to protect the digestive tract from damage due to scours pathogens.